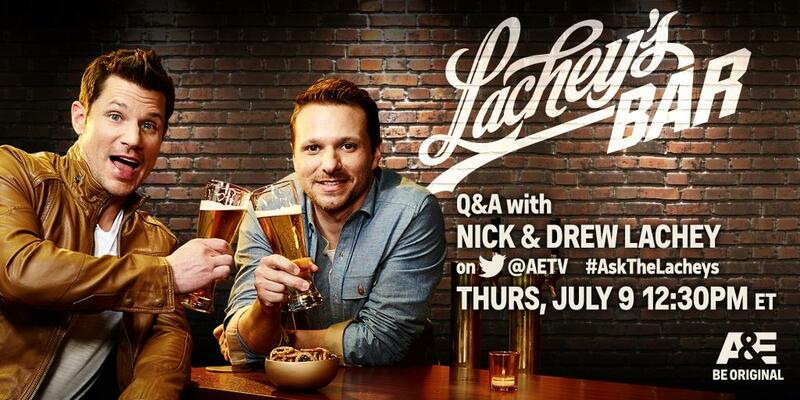 Also, Lachey’s Bar has announced their premiere party for “Lachey’s: Raising the Bar” on Wednesday, July 15th. Drew and Nick will host the party that starts at 9PM, Show airs at 10:30PM and their resident DJ will be rocking the music from 11PM until 1AM. This entry was posted on July 8, 2015 by emmieleigh. It was filed under appearances and was tagged with A&E, Ask The Lacheys, bar, Cincinnati, Drew Lachey, Lachey's, Lachey's Bar, Nick Lachey, OTR, Premiere Party, Raising The Bar, This Is OTR, twitter.